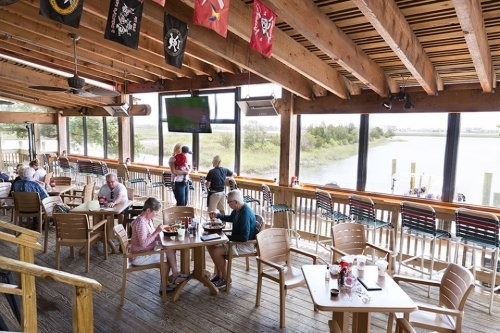 Learn the legend of Blackbeard’s drunken sailor, Jack, the namesake of this popular restaurant. And feast on steaks and seafood while enjoying a waterfront view. The upper dining room, downstairs lounge and outside deck all face the salt marsh and Marsh Walk of Murrells Inlet. Open daily.